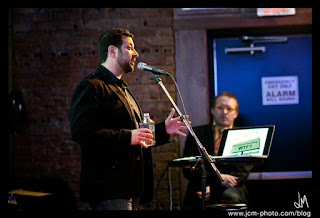 Each sessions will occur, once again, on Monday evenings (doors at 5:00 p.m., events start at 6:00 p.m.) at the Fine Line Music Cafe on First Avenue North in Minneapolis. And, as in years past, all events are FREE and open to the public due to gracious support from the Minneapolis College of Art and Design and the Minnesota Interactive Marketing Association. We thank these organizations for their continued generosity and enthusiasm! Edward is one of Mullen’s four original partners. 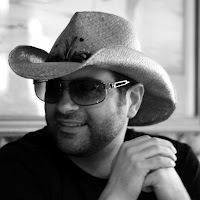 Over the last 26 years he has helped define the agency’s creative standards, established its public relations group, integrated digital design and production into all of the agency’s operations, and most recently launched its growing social media practice. 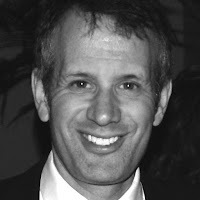 Edward also acts as chief advocate for TheNextGreatGeneration.com and speaks frequently on the merits of crowdsourcing. As Chief Technology Strategist, Faris is tasked with helping to work out how brands, people and technology can play better together. Before his current position, he spent 5 years being the Digital Ninja at communication strategy agency Naked Communications. 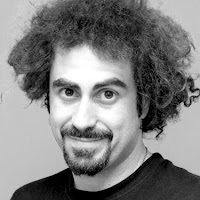 As a strategist Faris has worked on brands such as Sony, Google, Yahoo!, Nestle and Virgin Mobile, in Sydney, London and New York. Faris regularly writes about brands, media, communications and technology for Fast Company, Contagious Magazine and Forbes. At Droga5, Hashem works with brands to shape their digital marketing and helps to keep the agency and its creative work ahead by tapping into the latest innovations in technology, media and the web. 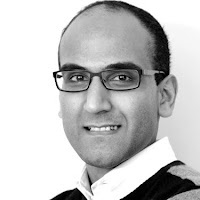 Before joining D5, Hashem was Digital Strategy Director at Goodby, Silverstein & Partners in San Francisco. In 2007, Hashem was the youngest person to be named in AdAge’s “40 Under 40 to Watch”. 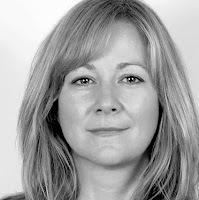 As Chief Digital Officer for TBWA Worldwide, Colleen is responsible for developing and implementing a global digital strategy throughout the TBWA network. Her areas of expertise range from digital postproduction and motion-graphics design to creative campaign development across digital platforms. 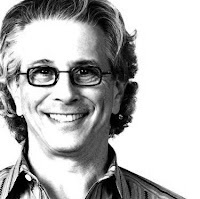 Prior to joining TBWA, DeCourcy served as Chief Experience Officer at JWT, and as the Vice President and Chief Creative Officer at Organic. 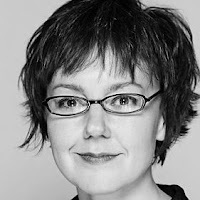 Colleen was the Cyber Lions Jury President at the Cannes Lions International Advertising Festival in 2008. Follow @CATFOA on Twitter for future updates. And just like that, we're done. Another fantastic year of wonderful guest speakers, questions, insights and most important—useful conversation. Thank you, Alan Wolk, Kristina Halvorson, Bob Thacker, David Armano and Michael Lebowitz for defining and evolving Conversations About The Future Of Advertising in 2009. We very much appreciated your enthusiasm, wisdom and energy. Thank you, everyone who turned out, brought co-workers, clients and friends and helped spread the word. We live in an amazing community here in the Twin Cities, in large part due to your willingness to turn out and participate. Thank you to our great sponsors—the Minneapolis College of Art and Design and the Minnesota Interactive Marketing Association, as well as the Fine Line Music Cafe. We all benefit from your generosity. Here are just a few images from our 2009 series—many more can be found via Flickr. We'll be back in January 2010. 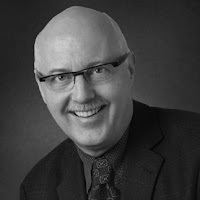 If you have recommendations for speakers in 2010, please contact Tim Brunelle at "tim [at] helloviking.com." Michael Lebowitz - Monday, May 11, 2009: "Living in a Post-Advertising World"
UPDATE: Video recap from the event is embedded below (scroll down). Thanks to all who turned out! It was another great crowd. Thanks especially to Matt from MIMA for the cupcakes. This is it! Our final speaker for the 2009 series is Michael Lebowitz, CEO of Big Spaceship. He'll be joining us this coming Monday, May 11 from 6:00 p.m. - 8:00 p.m. (doors open at 5:00 p.m.) at the Fine Line Music Cafe in Minneapolis. No RSVP required. Admission is free. Michael founded Big Spaceship in 2000. 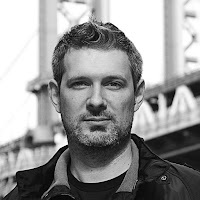 An architect and board member of SoDA (the Society of Digital Agencies), he is also a member of AIGA's Visionary Design Council and the International Academy of Digital Arts & Sciences. An innovation-led digital creative agency, Big Spaceship partners with brands to create deeply engaging experiences, products and relationships. Telling stories and starting conversations across the digital landscape, the company has garnered many accolades for its work, including One Show, Clio, Webby and Cannes Lion awards. Big Spaceship holds more FWAs than any other firm and was the first American agency inducted into the FWA's Hall of Fame. Big Spaceship's work for Epson, Sony Pictures, HBO, OfficeMax, Adobe, Corona, NBC Universal, Ford, Target, Royal Caribbean, Nike, Coca-Cola and LG demonstrate a strong breadth of strategic thinking, creativity and production in the digital space. On Monday, Michael will speak on "Living in a Post-Advertising World." He'll touch on getting rid of the mindset of making "ads that people will love" and focusing, instead, on an understanding of creating a value exchange between brands and their audiences. Michael will also talk about the major infrastructure issues facing advertisers and agencies—noting these challenges encourage opportunistic thinking: "Never waste a good crisis." Finally, he'll discuss shifting from campaign thinking to persistent strategy that affords us the ability to make products and experiences of incredible value. Don't miss this final event in our 2009 series. Michael's presentation promises great insights, examples and inspiration. Bring your friends and co-workers! Bob Thacker - Monday, April 6, 2009: "Chewing Gum and Bailing Wire"
UPDATE: Another fantastic turnout this evening! Many thanks to everyone who showed up, despite the Twins home opener, for Bob's inspiring presentation. A video recap of the event is embedded below. open at 5:00 p.m.) at the Fine Line Music Cafe in Minneapolis. "Top 100 Marketers in the Nation," and was elected to the Retail Hall of Fame, which honors only one retail professional each year. He's figured out how to collaborate with traditional advertising and digital agencies and PR firms—from big shops to boutiques. His career includes deep experience with media planning, campaign integration, marketing technology and the challenges and opportunities that come in collaborating with empowered consumers—not to mention figuring out how to achieve more with less. vations and insights from his career, focused through the lens of our turbulent times. Bob says, "I hope that I might enlighten and inspire the CATFOA audience to persevere and even prevail." a fantastic event. Don't miss it. 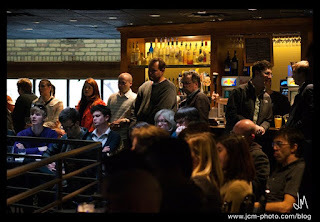 Kristina Halvorson - Monday, March 9, 2009: "Content Strategy - The Care and Feeding of Your Biggest Brand Asset"
UPDATE: Great attendance (150+) last night! The UStream video is embedded below, along with Kristina's slideshare. 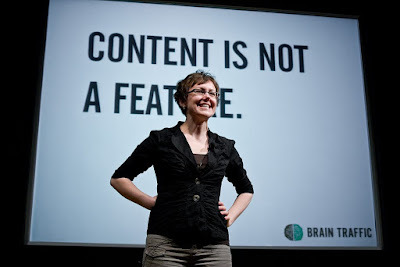 Kristina Halvorson, president of Brain Traffic and nationally-renowned content strategist, will be joining us Monday, March 9 from 6:00 p.m. to 8:00 p.m. (doors open at 5:00.m.) at the Fine Line Music Cafe. Admission is free. No RSVP required. And we'll have free food. So tell your friends! Kristina's presentation, "Content Strategy - The Care and Feeding of Your Biggest Brand Asset," asks us to rethink our preconceived notions of marketing and how marketing gets done in the digital age. Often, the way we talk about content makes it sound like something that will magically create itself, an omnipresent commodity that can be StumbledUpon with ease. But what about our core marketing messages? How are we communicating - and demonstrating - our brand positions online? With our branded content, of course. Clearly, this content is a critically valuable asset that can make or break our customers' online experience. So why are agencies and their clients constantly forgetting to consider their online content until the eleventh hour? You've heard a lot about how to 'listen' to the customer using social media. Content strategy creates a consistent, clear roadmap for your (ongoing) online communications. What should you publish, and why? Where? How? Who will own the content, both before and after launch? This event promises to be a must-attend for anyone involved in marketing planning, strategy, budgeting, creation and production. Kristina will bring valuable insights for creative directors, media planners and account strategists - anyone with an interest in What Gets Said. Kristina will look past today's "bright shiny objects" towards a future where a company's (and their customers') content is treated as a valuable asset, not an afterthought. You'll appreciate her challenging yet very useful insights, examples and suggestions.